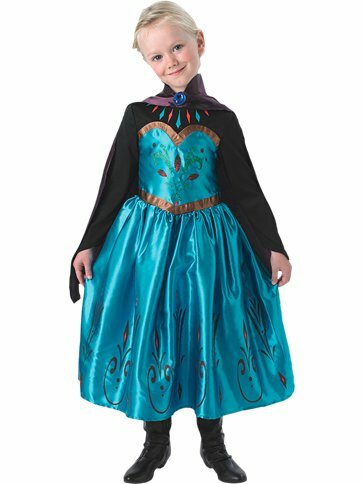 from every little girl's favourite Disney movie we bring you this beautiful, Disney licensed, Coronation Elsa costume from our Frozen collection. This fabulous, two piece, Elsa outfit includes a green dress with black neckline and sleeves and rosemailing print to bodice and hem. Also included is a regal, burgundy satin cape with faux gem accent to neckline and velcro fastening.